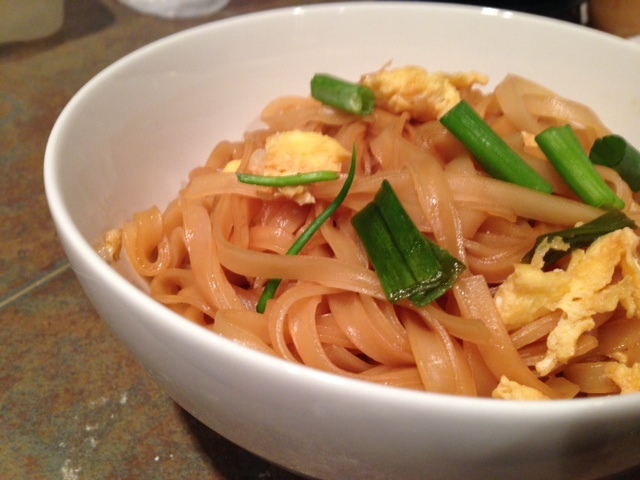 Pad thai is such a great, uncomplicated dish. 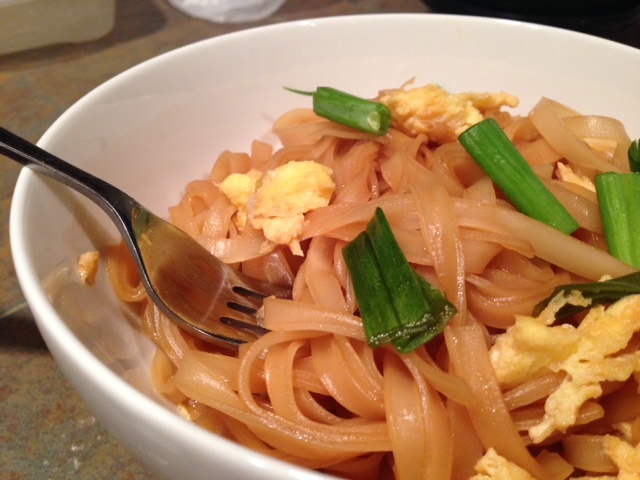 Simple flavors, not too many extras mixed in—it’s basically thai comfort food. Recipes vary, many more on the authentic route using tamarind paste, fish sauce, and other Asian staples. Others, like this one, stick to the basics. I’ll be trying the more complicated ones later [update: tried, hated, sticking with this one], but this one is a great place to start. I don’t know what was wrong with me but the next few times I made it, something went terribly wrong. First of all, I am the WORST at reading directions, so I had to throw like three different batches of sauce away because I accidentally added the oil to it instead of to the pan. (Don’t be like me, boys and girls.) And then one time I soaked my noodles exactly like I had before and when I added them to the pan they were still super tough and gross. Had to throw the entire pan of food away. Soak the noodles according to package instructions. For mine (got in the Asian aisle of Kroger), I ran the hottest water on my faucet and soaked them for 30-35 minutes. The package said 25-30 but it took longer for me. 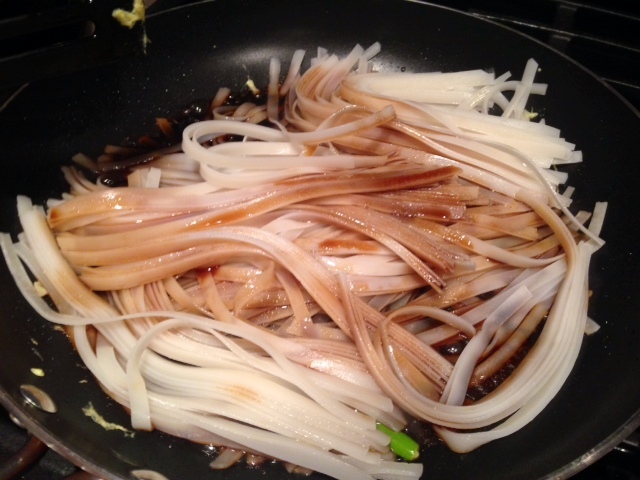 Make sure you try to bite into them before draining—one time I tried this recipe and just assumed the noodles were ready, but they were still really hard and tough. This time I also put them in the microwave in the water for about 30 seconds to help them along. 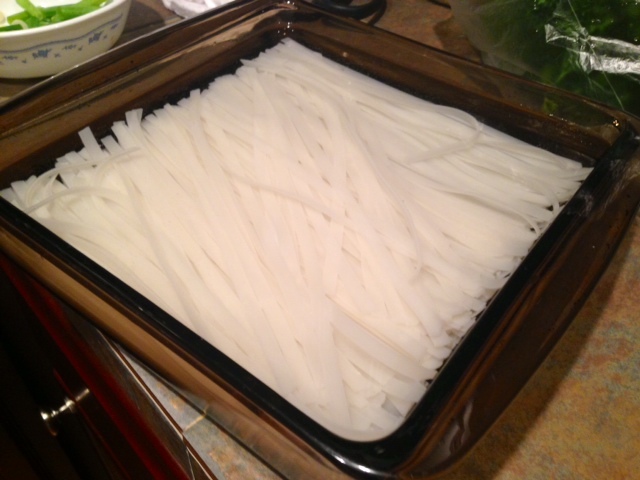 When you’re ready to add them to the pan, drain. You’ll want to prep everything while the noodles are soaking because it all goes really fast once we turn on the stove. 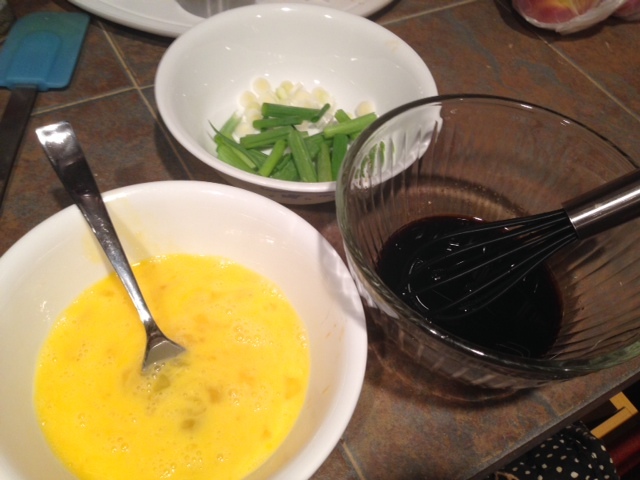 In a small bowl, whisk together the brown sugar, lime juice, soy sauce, and sriracha. Set everything nearby and get ready! 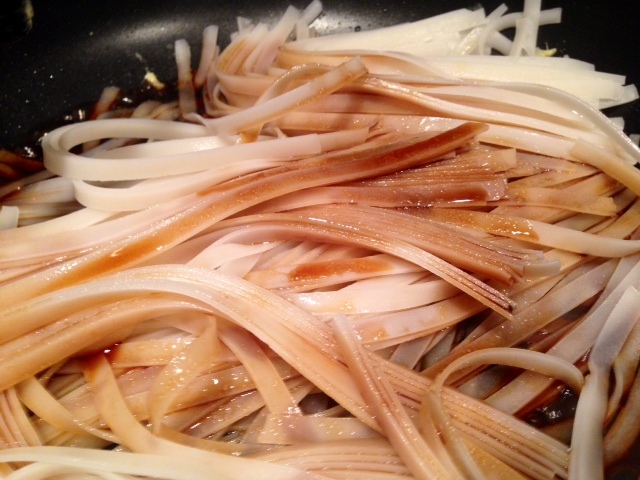 In a large non-stick skillet, heat the oil over medium-high heat. 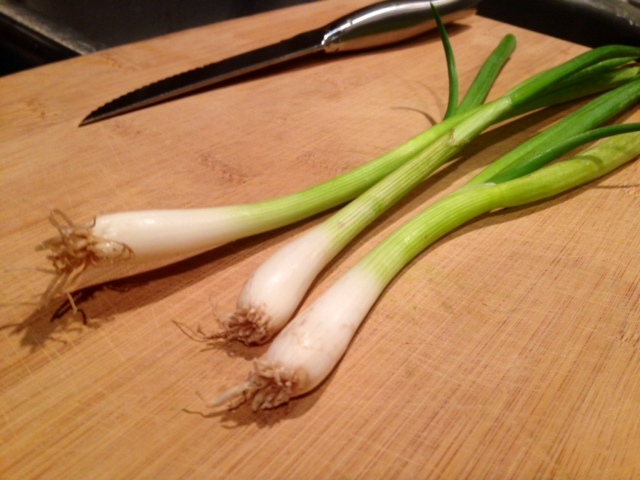 Add the WHITE PARTS ONLY of the green onions (don’t look at this picture, I just can’t follow directions) and garlic, and cook stirring constantly until fragrant (about 30 seconds). Add the beaten eggs and cook, gently scraping with the spatula and folding over each other until the eggs are almost set (about 30 seconds). Transfer the slightly underdone eggs to a plate and set aside. 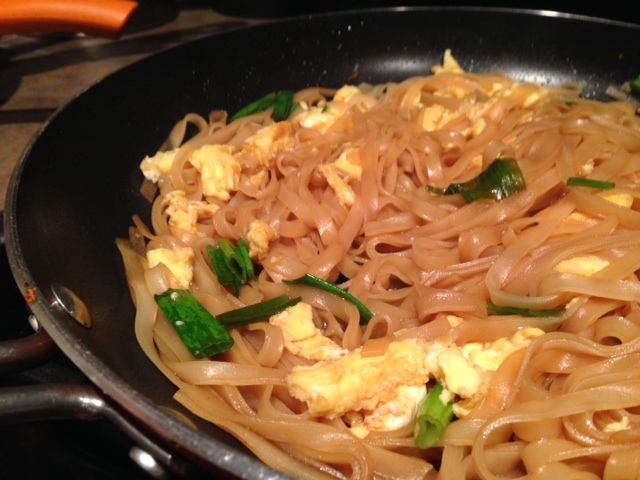 Add the noodles, green parts of the green onions, and sauce to the skillet. Cook, tossing constantly, until the noodles are soft and the sauce is incorporated(the recipe said about 1 minute, but for me it was more like 3 minutes). 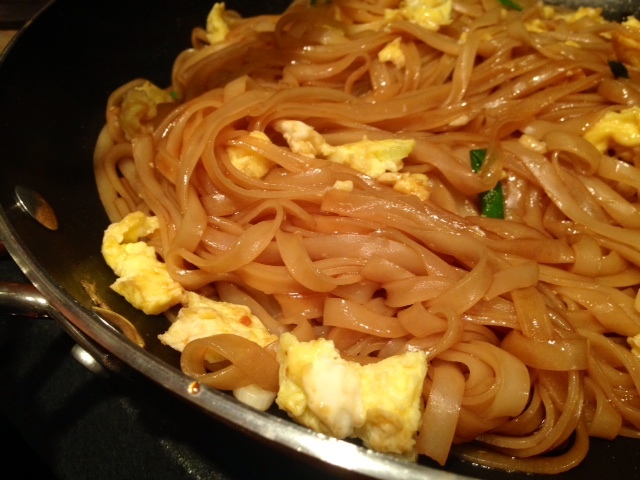 I find that using silicone-tipped tons are the easiest way to toss and break up the noodles. 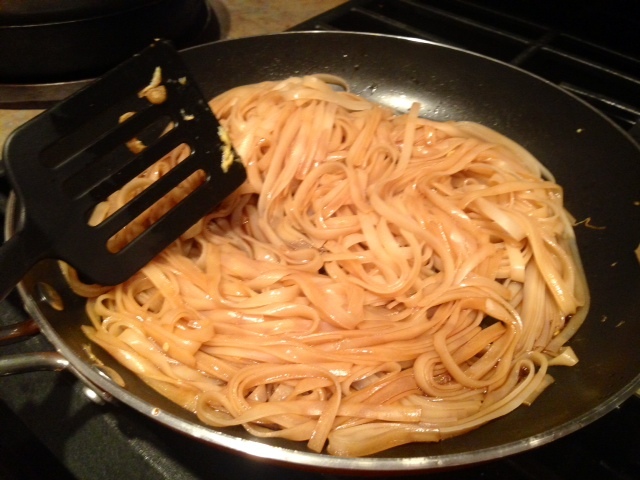 Add the egg mixture and break up gently, toss to combine with the noodles and sauce. Remove from heat. Serve right away, with chopped peanuts, cilantro (if you roll that way—I don’t), and maybe a lime wedge or two! I can’t vouch for it being great as leftovers because I ate it ALL every time. You can cook up some chicken and soy sauce and add that as well, for some extra protein. Soak noodles according to package instructions. For mine, I ran the hottest water on my faucet and soaked them for 30-35 minutes. Drain. 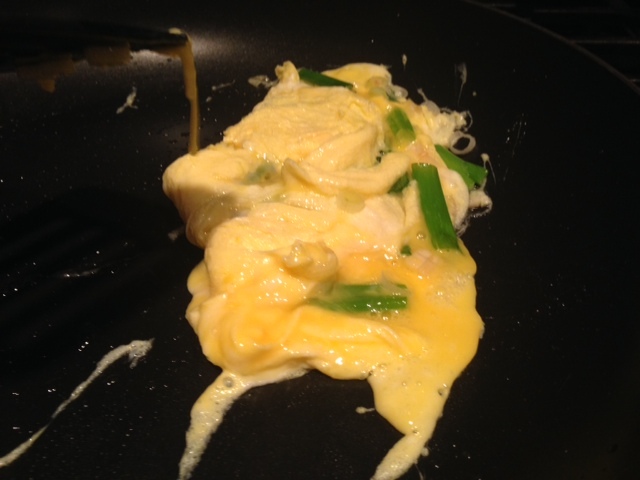 In a large non-stick skillet, heat the oil over medium-high heat. 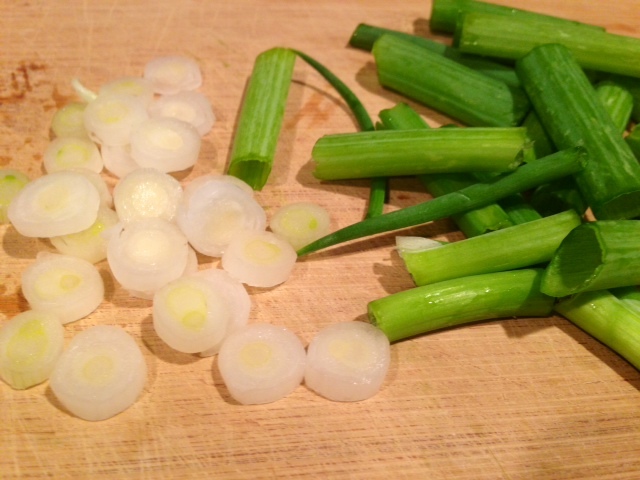 Add the white parts of the green onions and garlic, and cook stirring constantly until fragrant (about 30 seconds). Add the beaten eggs and cook, gently scraping with the spatula and folding over each other until the eggs are almost set (about 30 seconds). Transfer eggs to a plate and set aside. 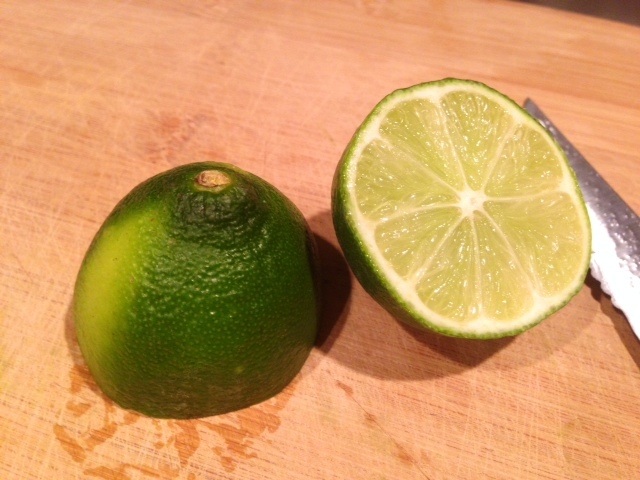 Serve with lime wedges, topped with cilantro (not on my watch) and crushed peanuts.